Trusted locally and recognised nationally, Royston and Lund is an independent agent who has won East Midlands honours in the ESTAS Estate Agent Awards for five consecutive years. 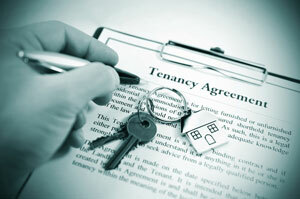 Services offered to landlords range from a Let Only package to a Comprehensive Management option. Among the many features of our service we provide valuable, friendly, professional guidance throughout the process of getting a property ready for the rental market, accompanied viewings, lettings, property management, refurbishment project management and accounts all within the one high street office, along with a designated day-to-day property manager. Furthermore, we operate a 24 hour emergency contractor helpline with third party specialists, including inventory clerks and an independent tenant referencing company. 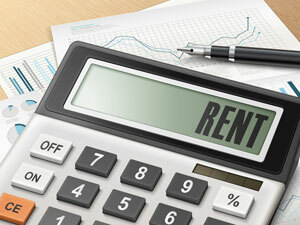 One furthermore benefit to our landlords is that we add no commission onto any contractors’ invoices. For peace-of-mind for landlords and tenants alike, we are licensed by the Association of Residential Letting Agents, the National Approved Lettings Scheme, Safe Agent and the Tenant Deposit Scheme. 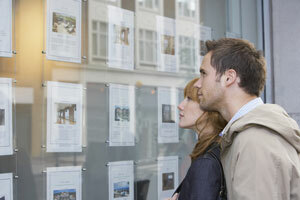 Our staff are trained and qualified by the Association of Residential Letting Agents. Working alongside all our other in-house departments, our lettings team provide an unrivalled first-class service to ensure a profitable and trouble-free let. We provide inclusive marketing for all our lettings, including a high street window display at our modern offices, a presence on property portal websites and ‘to let’ boards. Our Fully Managed service does everything and is specifically designed to take the stress and hardwork out of letting and managing your tenancy. We will ensure you comply with all the current legislation. The Tenants YOU select will be independently referenced with full reports available for you to review. You will be paid promptly into your nominated bank account with a monthly statement provided. Maintenance problems will be raised and dealt with quickly with you being informed of every step. Full professional inventory and schedule of condition will be provided to your tenants. We register the tenancy deposit we hold on your behalf and then attend at the end of the tenancy to provide a check out inspection/report. We work with both Landlord and Tenant to conclude the deposit account, dealing and assisting a Landlord with any remedial works required before a swift new let commences, minimising a Landlord's void period. Experienced friendly and professional advice available every step of the way making your experience as a Landlord as easy and profitable as possible. Our Tenant Finding service is primarily suitable for more experienced landlords who live locally and who are happy to manage the property and Tenants day to day. We do everything up to the point the Tenants move in, but you are then responsible for collecting the rent, registering the deposit with a nominated scheme and concluding at the end of the tenancy, managing the property and resolving any legal, rent or other issues. We hope to hear from you again when you require assistance in seeking a new Tenant. All as per the above - Tenant Find with the addition of a professional third party inventory/schedule of conditions, professional check in appointment with the tenant at the property, we hold and register the deposit providing your tenant with the legal deposit certificate and then re-attend to carry out the end of tenancy check out inspection providing you with a check out report to enable all conclude the deposit account. 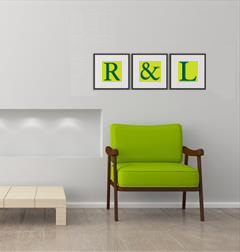 Royston & Lund’s services and any associated possible fees are all transparent in our agency Terms of Business (with no hidden extras). Our Terms of Business documentation will be provided to all potential landlords during the market appraisal.